By capturing the essence of the TEDx talks through mind mapping, we helped to widen the appeal and understanding of the talks. Drawing in thousands of online visitors to view mind maps from TEDxBristol, Mind Doodle has added an intriguing new element to powerful speeches. Mind Doodle, the latest software product from tech start-up company FlexiDB Limited, live mind mapped the talks at TEDxBristol and supported the event through its Community Partnership Programme. The mind maps were created in real time, as visual notes, and were extremely well received from remote viewers, speakers and event attendees alike. 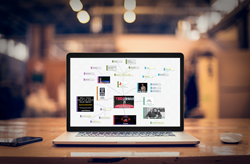 Offering a flexible source of information for online visitors to visually interpret key ideas and access quotes and facts mentioned during the talks, the mind maps are available as a lasting digital resource at https://tedxbristol.minddoodle.com. Online visitors can also sign up for free and add their thoughts to each idea in a mind map as a comment, to build on the conversations that the TEDxBristol speakers have started. Through the partnership, the mind maps created by Mind Doodle reached a global audience, but the company also supported the local community by providing free tickets for members of diverse community groups to attend. Mind Doodle supported TEDxBristol’s Community Partnership Programme, which allocated around 260 places to people from diverse communities across Bristol and the South West of the UK. TEDxBristol took place at Bristol's Colston Hall on 2-3 November 2017, opening doors to delegates, partners, sponsors and supporters. The move to support TEDxBristol follows a push for better connectivity and increased collaboration to ‘enhance the way the world thinks’ as FlexiDB Limited launches its online mind mapping product, Mind Doodle. Mind Doodle is a free online mind mapping tool that is disrupting the usual techniques of thinking, working and collaborating. The software allows users to share powerful thoughts and ideas in real time, with a live chat for discussion.